I was at a business presentation recently where a Vendor was pitching for an order for his "SFA" software to the Management Team of a Company. 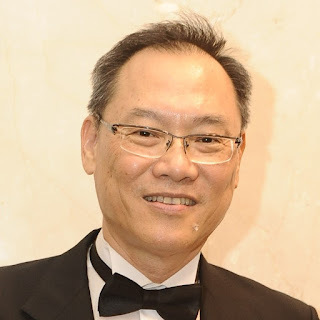 I was impressed with the capability and the traction that the software could provide to accelerate, follow through and capture the success of the sales process and results. This software will definitely provide the Team with a competitive edge in performance and servicing of its customers. But what is SFA? 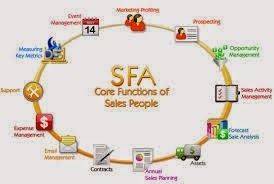 SFA (Sales Force Automation) is typically part of a company’s customer relationship management system which automatically records all the stages in a sales process. It includes a 1) contact management system which tracks all contacts that had been made with a given customer, the objective of the contact, and any follow up that may be needed 2) background info and profile of each customer for enhancement and strengthening of customer relationship 3) sales lead tracking system, which lists potential customers or customers of related products 4) product quotation, sales forecasting, order management 5) statistic capability for individual or team in conversion of sales calls and quotations to performance productivity 6) system capability in mass mailing of product promotion to targeted audience. An integral part of any successful system is the integration of different functional departments within the organisation. If this is not properly integrated, there is a possibility of disconnect, which will negatively affecting the power and the usefulness of the system. The SFA software, is just a tool and like all tools, unless it is intelligently and properly understood, supported and implemented by the Company, it will not be able to deliver the expected results in sales, service and revenue performances. Thus, there must be a "desire" and "ownership" by the users in the Company before any productive software be purchased.